There's now a new shopping plaza in Stanley, the waterfront area has been developed quite a bit and what used to be the outdoor market is now covered up. 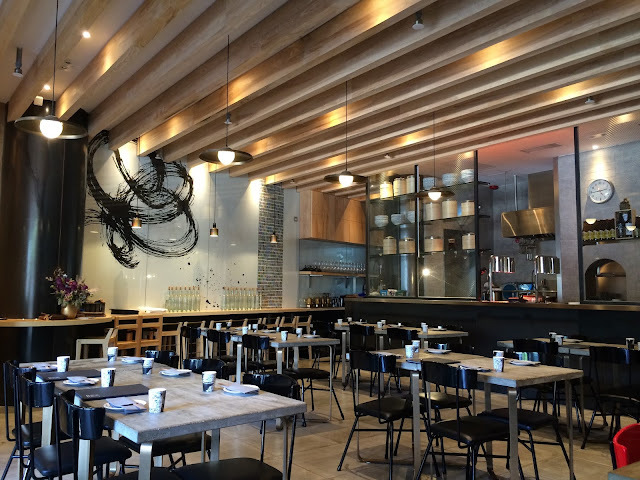 A ton of new restaurants have opened up too which made it great for us to choose a lunch time option. As we pondered on what to eat, the friendly and welcoming staff at Pinot Duck waves us in and tell us duck is the main star of the menu and that their ducks are flown in from France and the US. 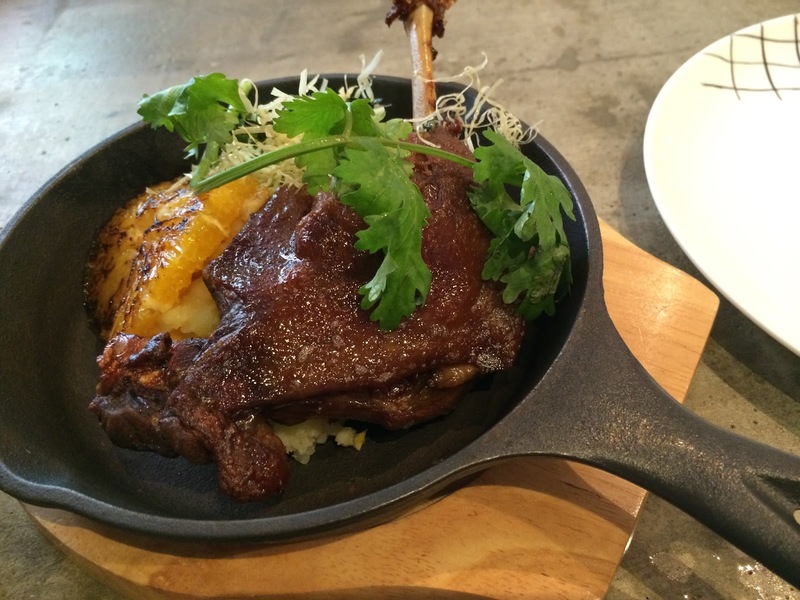 The menu is East meets West using duck in every way possible. I'm sold, and it turns out that Pinot Duck is another one of my foodie highlights of this trip to Hong Kong! The lovely and ambient restaurant. 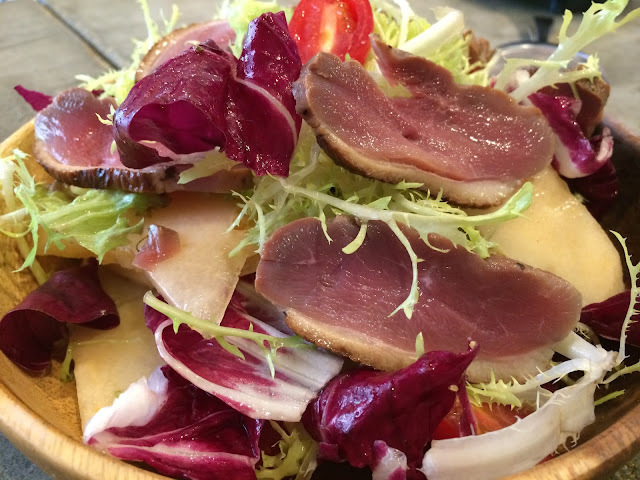 Jasmin tea smoked duck and melon salad. My god, if salad was this good all the time, I'd eat it at every meal! The smoked duck meat was absolutely delicious! Lightly smoked aromas, intense gamey flavours with a good salty hit that was just right. Together with the melon, I thought it was an even better match that parma ham. The salad was dressed in a light zingy sauce and complimented every element of this dish. Just wonderful. Peking duck in steamed bun. 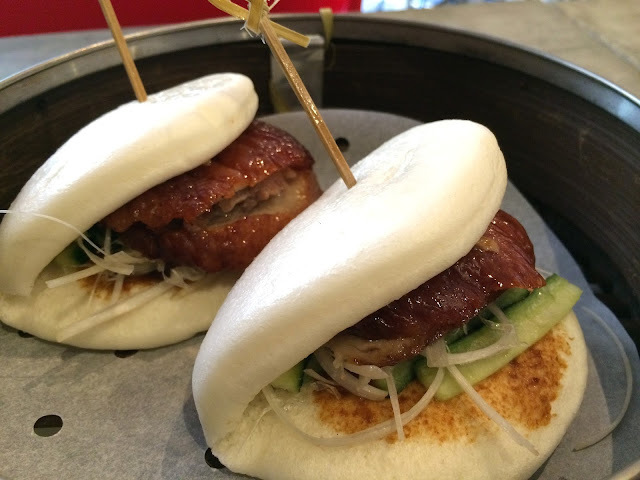 I am quite the fan of bao, a steamed bun that resembles mantou, but in an open sandwich form. 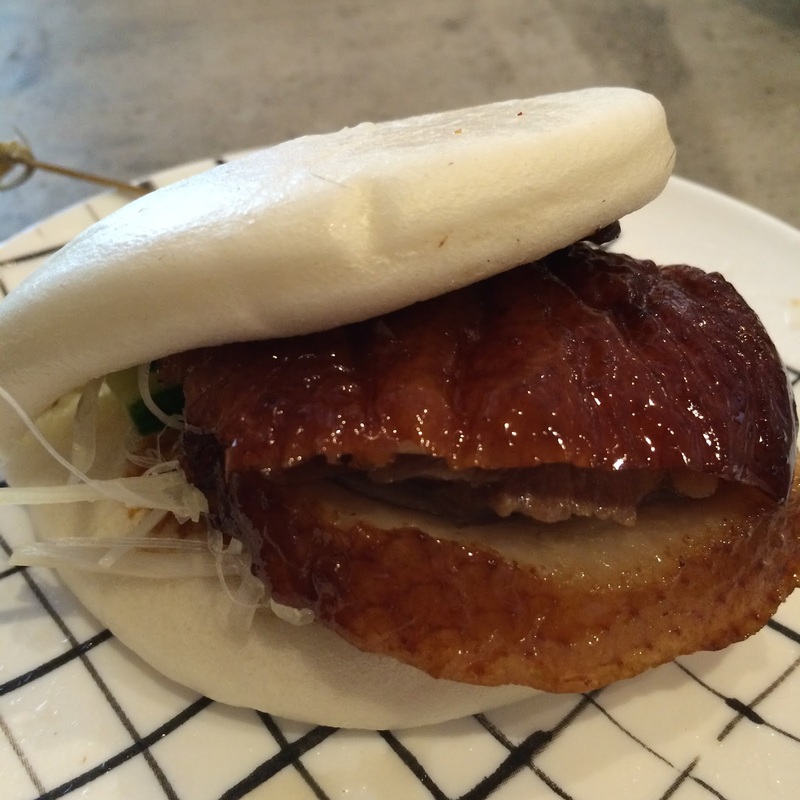 In Taiwan, it's know as a gua bao, in Japan, it's a hirata bun. The bun was perfectly soft and fluffy and didn't disintegrate from the sauce of the filling, this is essential to a good bao! The duck was perfect in skin, fat, meat ratio and the hoi sin sauce complimented it well, as did the refreshing vegetable. A dish well done! 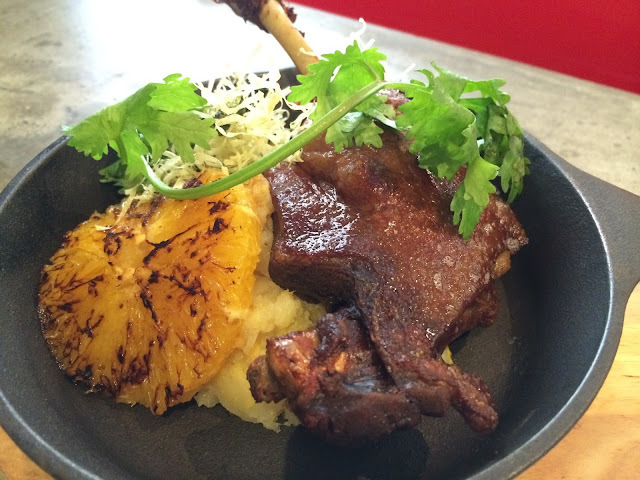 Duck confit with seared orange and sweetcorn mash. Now this was just phenomenal! The duck leg was so tender and juicy inside, whilst being amazingly crispy on the outside. The skin wasn't oily at all, and the flavours were just incredible. It came with a sweet and zingy sauce on the side, which along with the sweetness from the sweetcorn mash and orange, lifted the heaviness of the duck to balance out all the flavours nicely. It was way better than the so called authentic duck confit I had in Paris which was oily, salty and just a mess on a plate. I later found out from the chef, who I'd asked to meet with as I was so utterly impressed, that the duck is slow cooked in a timed water bath and then fried at the designated temperature for a precise amount of minutes! This place has Michelin star written all over it. It's yet to gain any, but with the finesse shown in all the dishes so far I hope it won't be long before they become hugely popular. The restaurant is still in it's early days having only been opened for a few months. Our final course arrived. 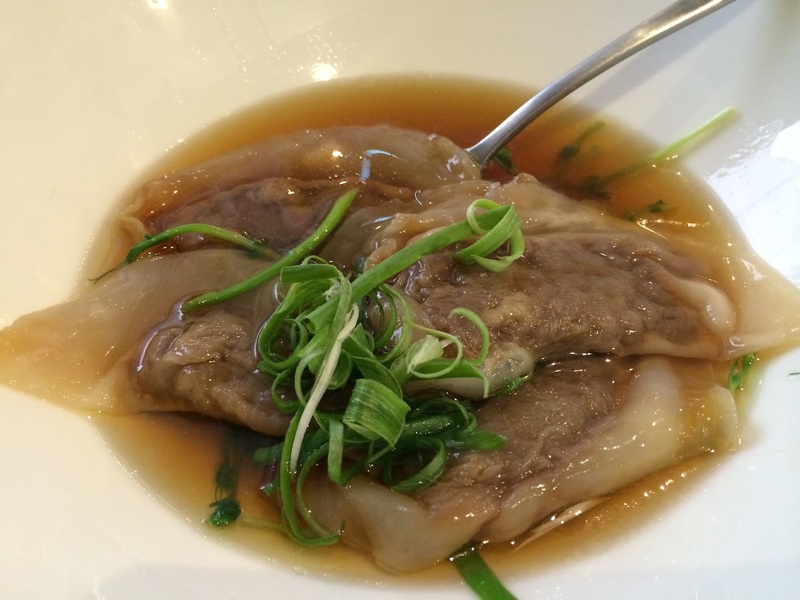 A duck ravioli/dumpling in duck and winter melon consomme. This was a fusion dish using the idea of ravioli meat, but instead of the pasta, it's wrapped in a Chinese dumpling wrapper. The duck meat is combined with red wine and turned into a patè. The winter melon soup is very Chinese in flavour, but Westerned by making the soup consomme style. I thought it was a great play on East meets West, but the flavours overwhelmed each other and became quite salty, which was a real shame as there was tons of potential in the idea. I hope Chef works on this one. We were stuffed and didn't have room for desserts. Chef said his speciality is creme brulee made using duck egg instead of chicken egg. I need to come back here next time I'm in Hong Kong, there was still so much of the menu I wanted to try. Lunch for 2 came to around $450 (£37). Incredible value for food that is worthy of a Michelin star and has all the cooking apparatus and of course a talented chef to rival one. 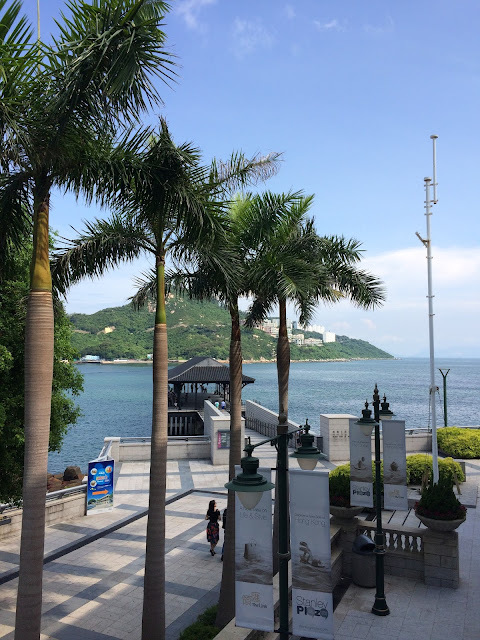 After lunch, it's a stroll through Stanley then a taxi ride back to Causeway Bay. Taxi cost around $140 (£12) and is a good option if you don't want to wait around for a bus. I ate here when I came to visit a few months back, I think they were maybe in their first week of opening. I was in there mid afternoon so I only had the steamed buns as a snack, but i'd love to go back and try the other dishes. I'm living in Stanley now, so I don't see any reason why I can't sample the whole menu! Wow, Stanley! What a lovely place to live! Yes, must go back and try all the other dishes, I especially loves the smoked duck salad and duck confit.